Welcome to “PerthAutoWreckers”. We are WA’s favourite car wreckers who offer free car removal service anywhere in Perth & inner suburbs. 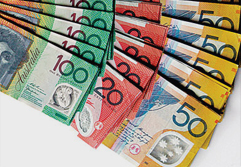 We pay up to $9’999 cash for cars, trucks, 4x4s, vans, Utes and buses in any condition. Our Car Wreckers Perth crew buy vehicles from good to worst condition including used, old, rusty, unregistered, mechanically broken, smashed in the accident, totalled, blown head gasket, transmission failure, unwanted and wrecked etc. Do you currently have a big and ugly junk car residing on your lawn or driveway? It is probably polluting the environment by leaking fluids into the ground. It is definitely getting on your family’s nerves, not to mention your neighbours. This is truly time to get rid of it, and if you live in Perth, this will not be any kind of a challenge. Here at Perth Auto Wreckers, we will sort your car out regardless of what kind of condition it is in. You may have a scrap car, a junk vehicle, a fire damaged automobile or a totalled ride. We will buy it regardless. We buy all shapes and sizes, including cars, Utes, 4×4’s, SUV’s, vans and trucks. Our service locations are available for all of Perth, including the surrounding areas, such as Maddington, Armadale, Mandurah, Belmont, Thornlie, Rockingham, Joondalup and Kwinana. First of all, our valuation experts have years of experience, ensuring that your car will be valued at the very highest amount that it could be priced at relative to its condition, make, model and age. We pay up to $9’999 for cars. If you want to get the most money possible for your automobile, contact us! Consequently most car wreckers will deduct the cost of removal from the money that they pay you. Here at Perth Auto Wreckers we perform the removal completely for free. And we will do it with the speed that will ensure that we would be able to remove the vehicle at the same day. Drop us a line in order to get yourself a free quote. You can either go to our website, where there is a quote request form waiting for you. Or you can call us. Whatever you choose to do, tell us the details of your car and get that quote fast. It is perfectly normal for other wrecking companies to only welcome certain brands onto their salvage yard. But we want all of them. Toyota, Mazda, Nissan, Honda, Hyundai, Isuzu, Volkswagen, Subaru, Mitsubishi, BMW, Ford, Mercedes Benz, Jeep, Audi, SsangYong, Daewoo, Daihatsu, Kia, Holden and all the other ones. Above all, we have a huge inventory of parts. We got them via all the dismantling that we are always doing. They are all tested to make sure they work, and are incredibly affordable. It is much better to buy used, so if you need a replacement used car parts, get in touch with us and you will find it. Furthermore, all of our customers are always incredibly satisfied with our exceptional services. The reason why is that we are absolutely dedicated to ensuring that our customer gets the most money that they can get, fast and without any stresses or hassles involved. Get up to $15’000 cash for trucks (private or commercial). 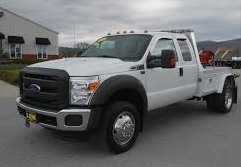 We can come to your location and valuate your truck on the spot. 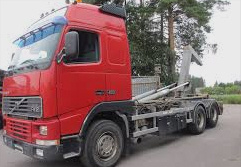 If you are happy with the price, we will buy your truck and offer the free truck removal service straightaway. Furthermore, don’t leave that old vehicle on your lawn for a day longer. It doesn’t belong there. The junk vehicles of Perth only belong in one place. Our salvage yards. If your car isn’t junk, and you simply want to sell it fast and easy, we are your best option.We will get rid of vehicle within the same day. 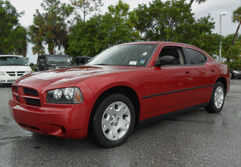 Don’t put up with any of the hassles that you normally have to put up with when selling a vehicle. You can contact us easily. If you want to drop us a line, here are the ways to do so. Go to our website and fill out the quote request form, or call us up at 08 9452 8859. Finally, when you contact us please tell us the make, model, age and condition that your vehicle is in. This will help our Car Wreckers Perth crew to know how much your vehicle is worth, and we will get back to you with your free quote in such a fast fashion your head will spin. Do it today! Scrap Your Car in an Eco-Friendly Way!